Famously it was Winston Churchill who, speaking in 1939, said of Russia that "it is a riddle wrapped in a mystery inside an enigma". By 1988 it was becoming less of an enigma as Gorbachev was extolling the virtues of glasnost in a period of rapid change in what proved to be the dying days of the Soviet Union. In this Radio 4 documentary Erik de Mauny, the BBC's first Moscow correspondent, returned to the country to reflect on the changes in the intervening years since he first reported on Wynne-Penkovsky trial in May 1963. And there's a hint of the seismic events that are just around the corner as he talks about "repressed nationalist sentiments." 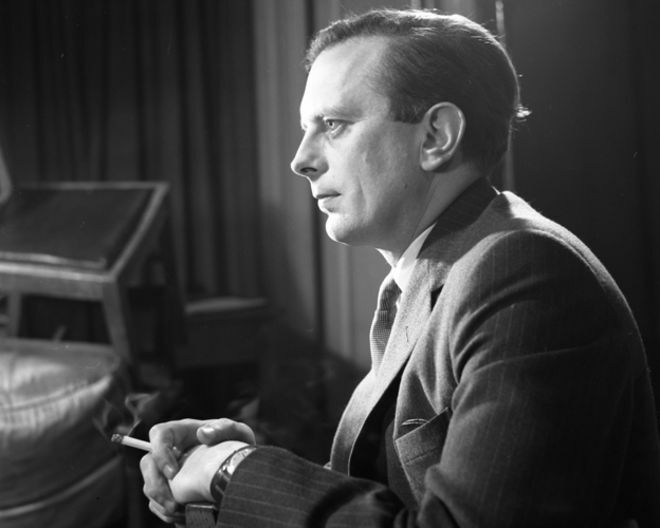 Joining Erik (pictured above) on Inside the Enigma are a number of former BBC Moscow correspondents: Dennis Blakely, Daniel Counihan, Philip Short, Kevin Ruane, John Osman and Peter Ruff as well as the then-current incumbents Jeremy Harris, the radio correspondent and Brian Hanrahan who reported for BBC TV. Inside the Enigma was first broadcast on Thursday 28 April 1988 and was produced by Harry Schneider.